What would King Boo, Birdo and all sorts of other Nintendo characters--yes, including Mario, Luigi, Link, Peach and Zelda--look like in the buff? Brooklyn-based artist Aedan Roberts answers that question in a most amusing way via his recent "Nüdtendo" portrait series--two pieces of which can be seen below. 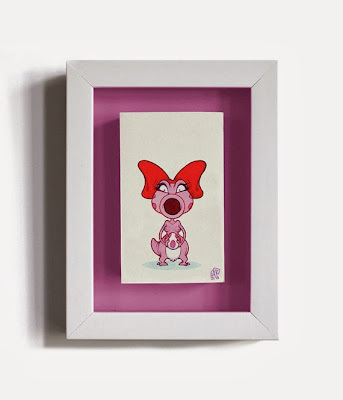 Unsurprisingly--given the above, at least--Birdo's bits also are on display in Roberts' humorous portrait of the much-loved Super Mario Bros. 2 baddie. 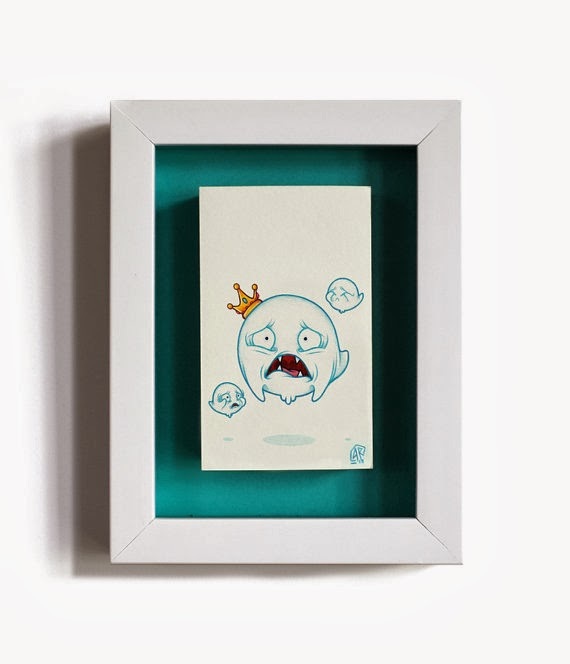 To see the rest of Roberts' Nüdtendo series--my current favorites are Wario, Tingle, Peach and Link--check out his site, aedanroberts.com. You could say that the first English trailer for Square Enix's Bravely Default didn't impress me much. Actually, that's being a bit harsh. The game certainly looked great, as it always has. 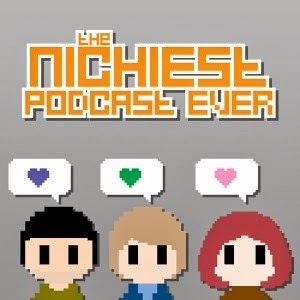 It didn't sound so great, though--or at least the English voice acting didn't. Do the voices featured in this new trailer (above) sound any better? Surprisingly, I think they do, at least a bit, although it's possible my ears are playing tricks on me again. Warning: despite the fact that I'm enjoying the hell out of my 3DSes right now--thanks in part to games like Pokemon X, Sayonara Umihara Kawase, Touch Detective: Funghi's Big Breed and, yes, Animal Crossing: New Leaf--that system actually pales in comparison to the original GameBoy and its catalog when it comes to taking up space in my brain at the moment. Yes, I'm currently a bit obsessed Nintendo's first handheld. 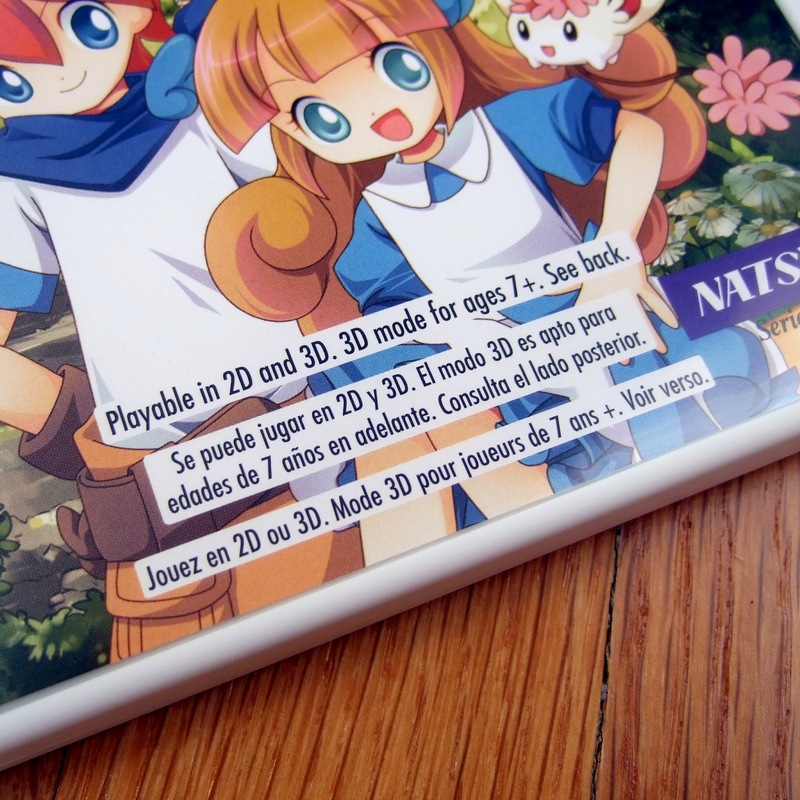 Actually, I've been obsessed with it for a few months now--ever since I became aware of and wrote about import-only curiosities like Noobow and Peetan. Reading about and eventually playing those titles prompted me to do some digging to find a few similarly overlooked (by myself, if not by others) "gems," three of which can be seen in the photo above. 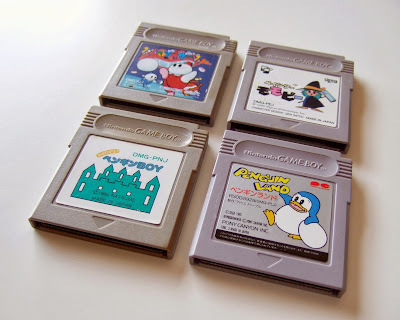 Although the GameBoy port of Snow Bros. Jr. (above, upper left) is well worth checking out, especially if you're into single screen platformers like Bubble Bobble, the games I want to focus on in this particular post are Painter Momopie (upper right), Penguin Land (lower right) and Osawagase! Penguin Boy (lower left). Painter Momopie's probably my favorite of the bunch right now. Why? Because it stars an adorable little witch, for starters. Also, it's a surprisingly appealing Pac-Man clone--which tasks the aforementioned witch with racing through a home (hers? I'm not sure...) and painting (I think) its floors while avoiding various baddies. Sure, it gets a little repetitive after a while, but the same can be said for the iconic Pac-Man, so I'm not going to be too harsh on that aspect of it. My only real qualm: that its developers never released an updated version for the GameBoy Color. As for Penguin Land: well, it's actually a port of Sega's Doki Doki Penguin Land, an odd little game that brings together the platformer and puzzler genres in a really unique (and fun) way. (Play revolves around guiding an egg to the bottom of each level by moving or destroying blocks that are in the way.) The Master System and Mega Drive versions of this title look better than this Pony Canyon-made one, of course, but I still wouldn't say the latter is at all unattractive. Plus, as is often the case with old games like this, there's far more to Penguin Land than its outward appearance. Finally, there's Osawagase! Penguin Boy, released in North America as Amazing Penguin. I'm not exactly sure how this one escaped my attention for so long, although I think its rather terrible box art may have played a role. Thankfully, I first discovered Penguin Boy via a review of its gameplay, so the crappy cover didn't keep me from giving it a try once I became aware of it (the game, not the cover art). As for its gameplay: it's basically a mash-up of Pac-Man, Pengo and Qix, if that makes any sense. If not ... uh, watch the video above, which explains things pretty well. The question is: will I enjoy Hometown Story more than shidoshi has so far? Full disclosure: I only bought Hometown Story now--as opposed to waiting and asking for it as a birthday or Christmas gift--because I wanted the "Red Ember" plushie seen in the photo below that was given to everyone who pre-ordered the game from Amazon. Of course I've yet to actually pop the Hometown Story cart into my 3DS. There's a reason for that, though: rather than play it this past weekend, I put a good amount of time into Pokemon X, Sayonara Umihara Kawase and Touch Detective: Funghi's Big Breed (an import puzzler I've been meaning to try for ages) instead. 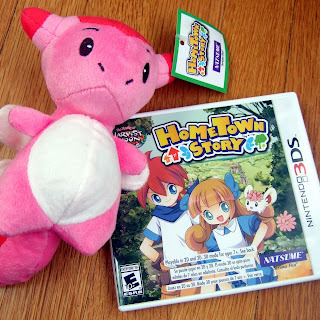 This coming weekend (if not earlier), though, I promise to put Hometown Story through its paces--or at least devote an hour or two to it. By the way, do you think this game's cover has enough logos and other text on it? First, there's the "Family of Harvest Moon" logo in the upper-left corner, followed by the Hometown Story one to its right. Then you have the ESRB rating in the lower-left corner, Natsume's logo opposite and ... the gigantic blob of text you see above. Although I applaud Natsume's design folks for their nod to French and Spanish gamers, I'm not sure we really needed the "Playable in 2D and 3D" blurb repeated three times. Anyway, I don't suppose any of you also picked up a copy of this "Family of Harvest Moon" title--or plan to do so soon? Is it me, or have we been waiting for Cabybara Games' Super Time Force for an eternity? OK, so that's a bit of an overstatement. Still, we've been waiting for it for a long time--or at least I have. Sadly, the game still is without a release date--well, other than "before the year is out."